← New to Bloglovin’! Yay! 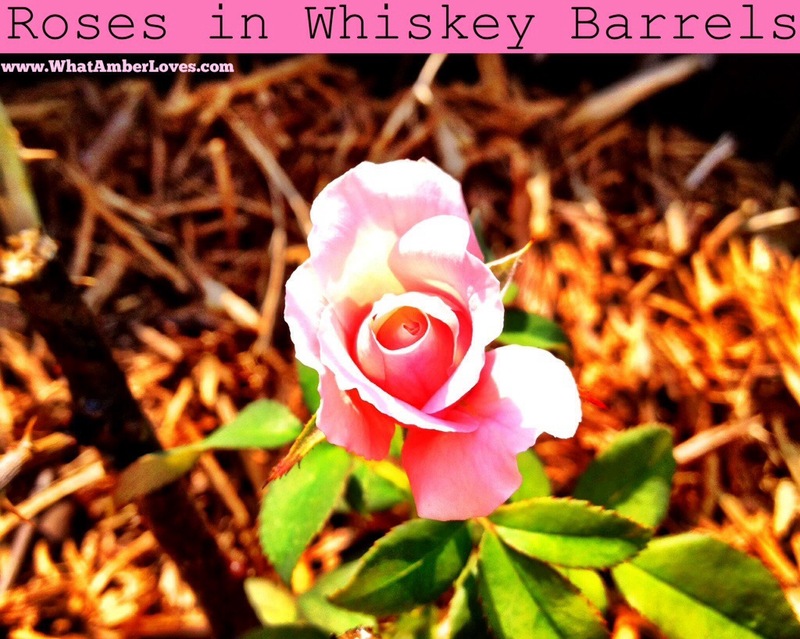 We have exactly 5 rose bushes, all of which are growing in retired whiskey barrel halves. My Great, Great Aunt Ruby had the sweetest smelling climbing miniature roses growing beside her carport. It’s been 30 years since I remember seeing them, and they’re probably long gone, but when I close my eyes and think back, I can still smell them, like a faint vanilla with a lot of sweet apricot. Whenever I went with my Gram to visit her, they would sit in the house and talk, and I would check out the roses. My Great, Great Aunt Ruby passed away when I was elementary aged, but I remember three things well about her: her spectacular miniature roses, her long, brightly painted fingernails, and trying a piece of rum cake at her house that I was far too young to appreciate. “Yuck, rum? !” Fond memories of mine are these, even the rum cake. Love. My mother in law, Betty, loved her roses and grew several varieties. Sort of. She didn’t follow any sort of those rose pruning rules, feeding or watering schedule, or any such thing. She just planted a rose bush from time to time throughout the years, and if any of them grew a flower, my father in law would cut them and put them in a cup of water on the kitchen table. Upon entering the house during summer months, she never missed a beat, consistently saying two things to every guest, “Do you want a glass of tea? I have Cokes, too! 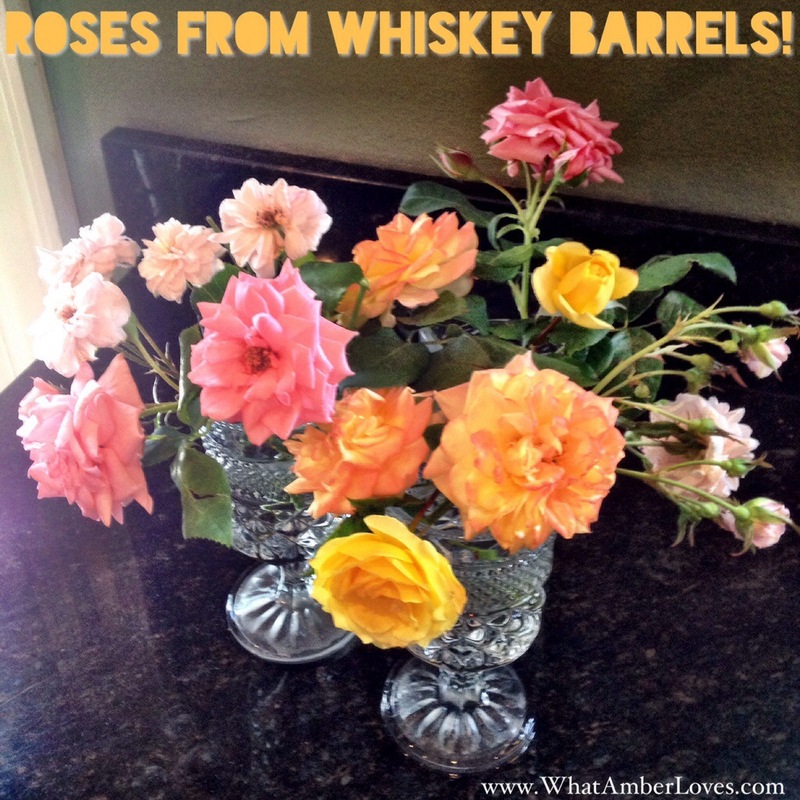 … and … Did you see the roses Bobby picked for me? Aren’t they pretty! Come see!” She passed away a few years ago, and Bobby moved away soon after, so one cold Spring morning a few years ago, Mitch dug up 4 of his mother’s rose bushes and moved them here to our house. Unfortunately, with our house being on top of a hill, sitting in the shadow of Shinall Mountain, our yard is steep, and all rock below the layer of zoysia grass, we couldn’t plant them directly in the ground very well. 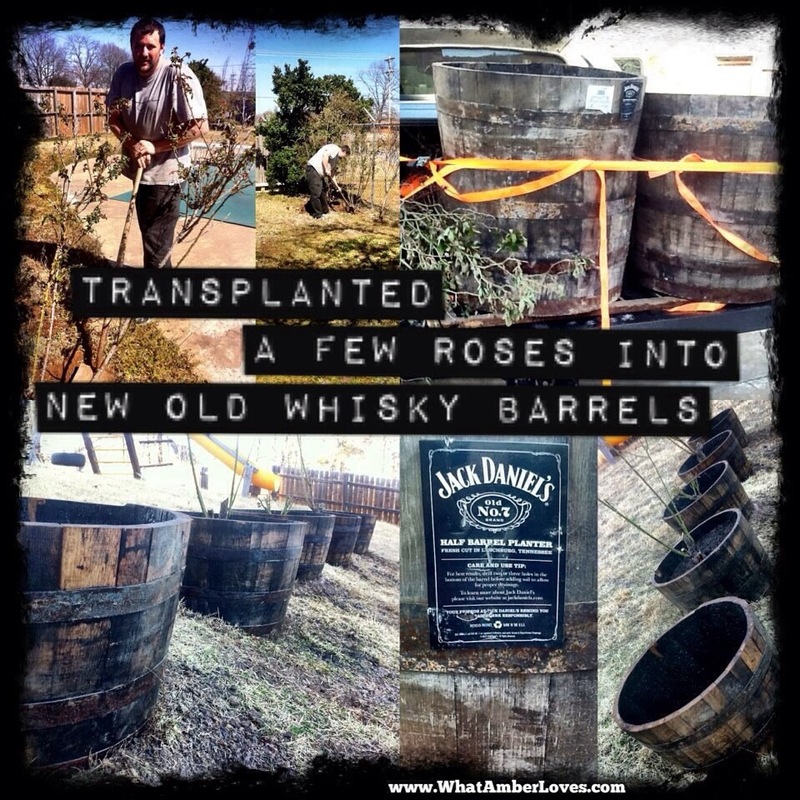 Needing a solution for how to plant them, we bought retired Jack Daniel brand Whiskey barrel halves at Home Depot to use as planters for the roses! 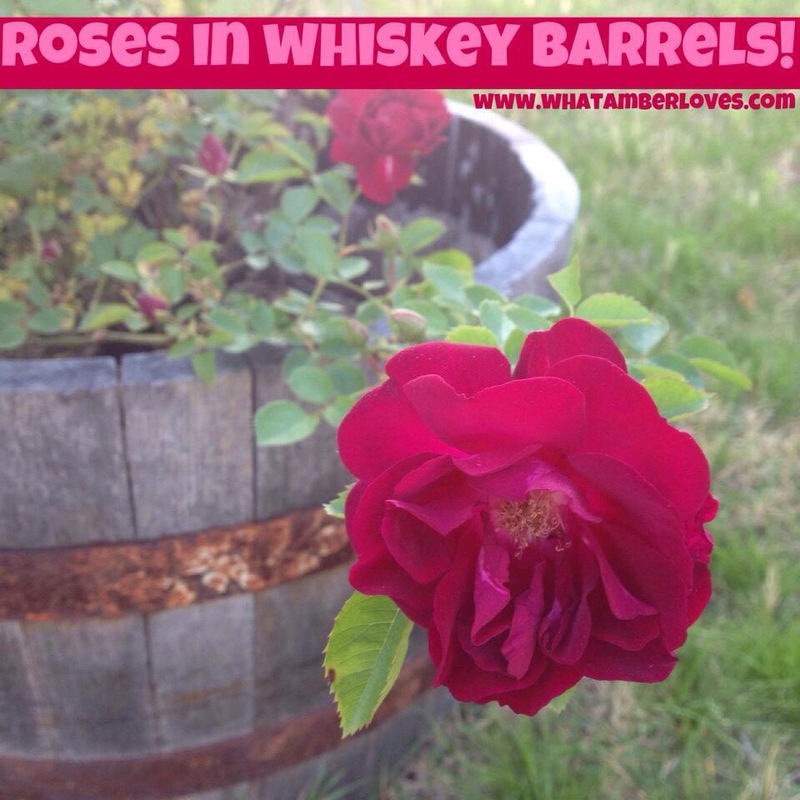 The roses had been thriving in their whiskey barrel pots, except for one. It had beautiful foliage for the last three years, but never bloomed. Then, this year… WOW! It suddenly decided to put on quite a show! See the roses from Betty are a miniature pink one that reminds me of Great, Great Aunt Ruby’s, a yellow one, a carnival one that changes from yellow to an orangish-pink, and the fourth was a mystery. Well, mystery solved. It’s a gorgeous deep dark pink that borders on being red. It’s magnificent! Usually, we just let them live their bloom cycle in the yard and try to take the time to remove spent blooms occasionally. Today, is a new day, though. I think I’m going to start cutting the roses and enjoying the blooms indoors more frequently. Perhaps we’ll let them dry and make pretty rose garlands! We’ll see. Regardless, I can hardly wait for my husband Mitch to come home and see them sitting on the table, again. Love. Do you grow roses? Do you have any special rose memories or rose stories? Are there rose books you recommend for us? Please, share in comments! 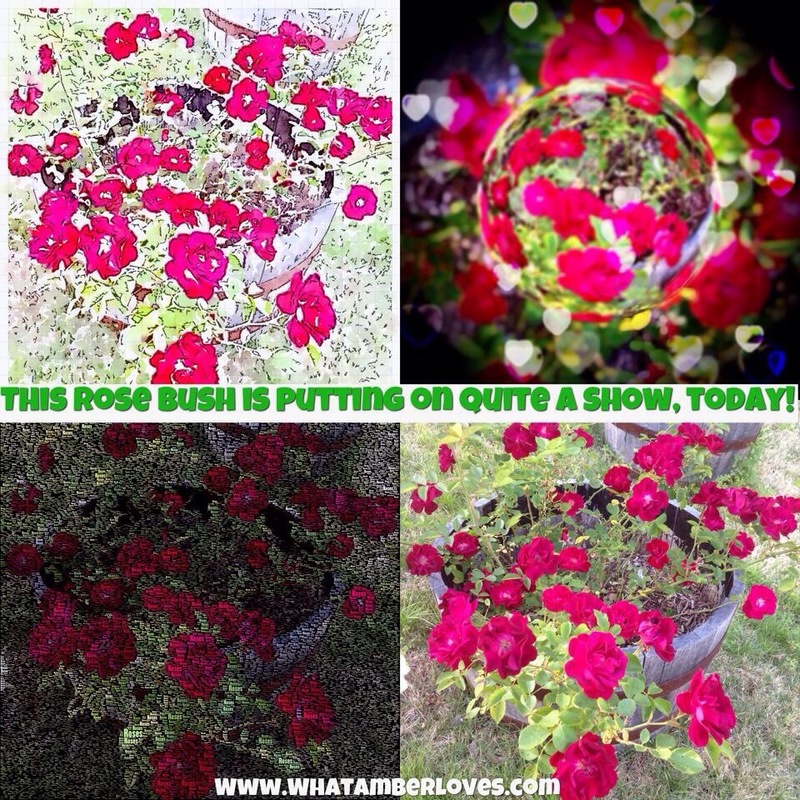 Posted on June 20, 2014, in Uncategorized and tagged Arkansas, garden, gardening, rose, roses, WhatAmberLoves. Bookmark the permalink. 4 Comments. I love rose stories and this is one of the best. So glad you moved the roses and are enjoying them. 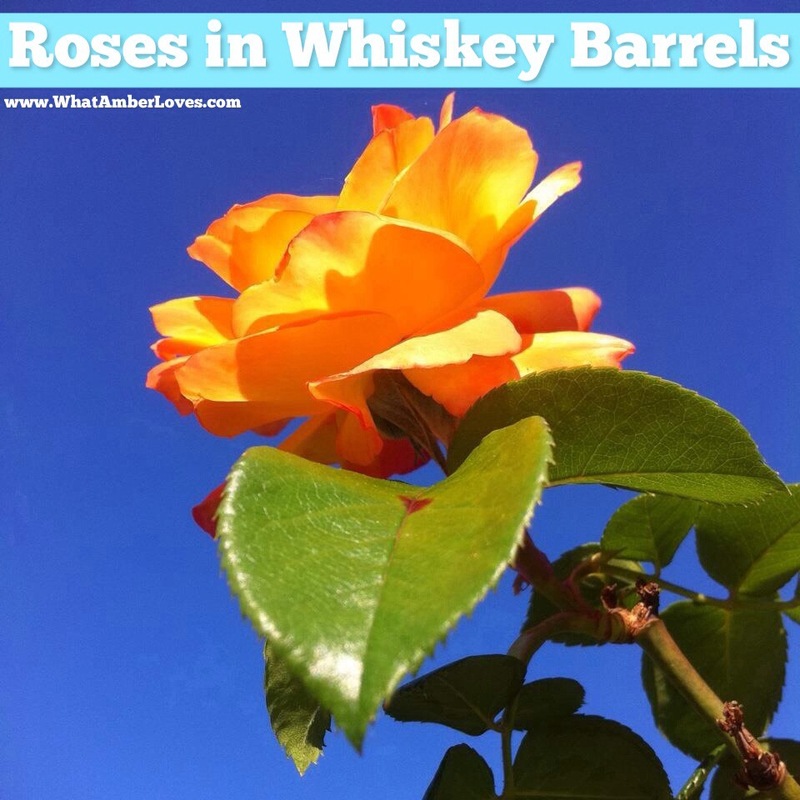 The perfect use of a Whiskey Barrel. Well done!